Get an early start on the European multi-pitch sport climbing season. Learn and practice rope technique, efficient team movement, safety, self-rescue, etc. 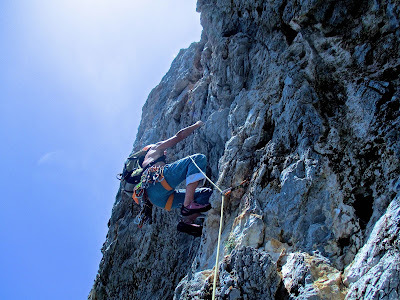 kalvmnosprimalclimb.com has spaces available In May for all types of multi-pitch climbing activities. Kalymnos offers exceptional sunny, dry, all-day climbing weather from May in to the first week of June. Courses are guaranteed. The long multi-pitches on Kalymnos' neighbouring island Tolendos are an all-day pleasure, from approach, climb and descent. All my courses and programs can be found on Kalymnos Multi-Pitch offerings. Thxs Romilda for your complement!